The Rochester Institute of Technology (RIT) adds a highly sophisticated, unique sustainable building with LEED Platinum Certification for sustainable studies. The Rochester Institute of Technology (RIT) is a highly respected university located in Rochester, NY with a 1,300 acre campus, 15,000 undergraduate students, and over 150 buildings on the campus. RIT has had a long standing in sustainable efforts and interests. These efforts focus on sustainable production, energy, mobility and information technologies. 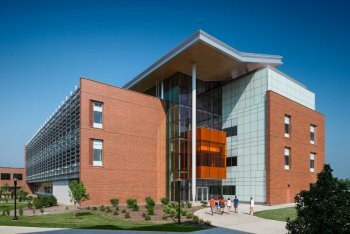 RIT wanted to extend their existing sustainable curriculum with the establishment of a new campus building using sustainable building design that would be dedicated to sustainable studies. This focus required the talents and capabilities of multiple disciplines to achieve common goals in creation of a sustainable building solution that housed the infrastructure necessary to support the curriculum. Such capabilities within a single building required a special type of sustainable architecture. 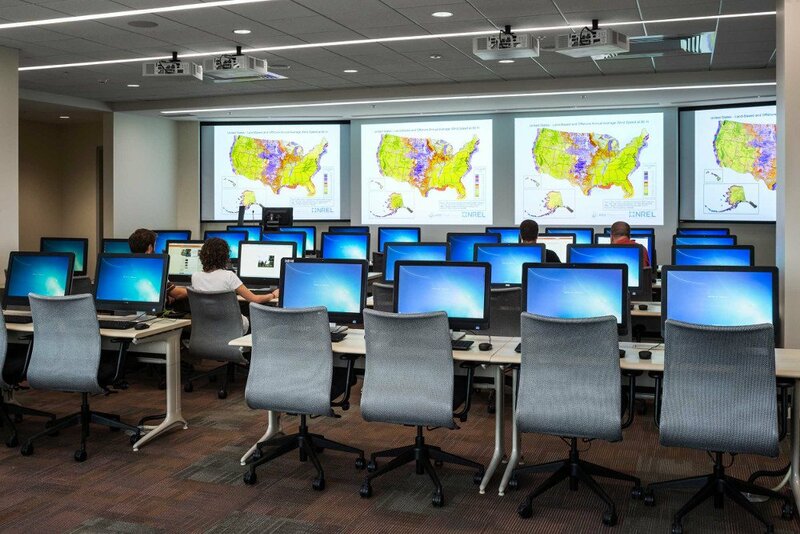 In addition, RIT required the building to be a LEED Platinum Certified building and beyond. With an aggressive project schedule for the new sustainable building due to funding streams and the LEED Platinum Certified goal, a fast-track design-build delivery method was utilized in order to ensure the quality, collaboration and speed required to make the project a success. With the design and construction teams aligned, our electrical and mechanical engineering consultants developed iterative analyses as well as energy and cost models to create a one-of-a-kind institute supporting world-class education and research in sustainability for manufacturing, science, technology, engineering and architecture. 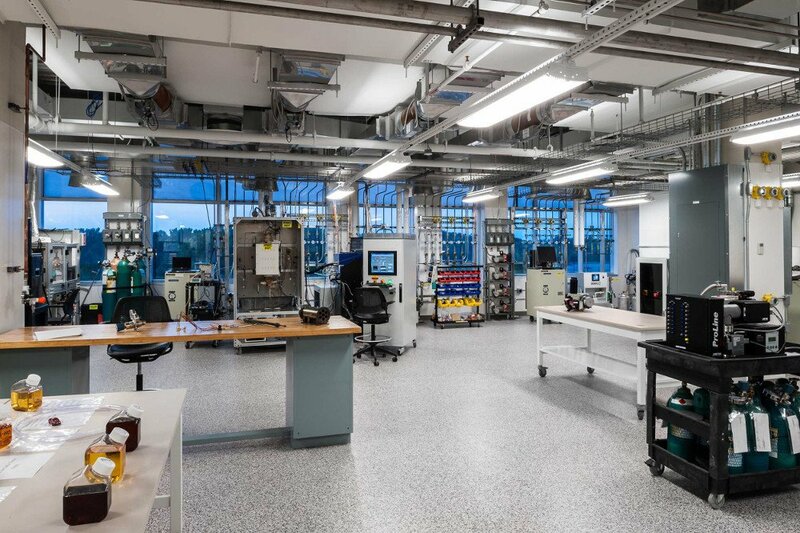 The Microgrid System featured in this sustainable building integrates many of the building's energy systems to monitor, test, and explore energy storage, supply and demand, and distribution, for use as a real-life sustainability lab. These building features not only helped to make the building a sustainable one, but also included the necessary infrastructure for supporting the complexities of a sustainable studies curriculum. In addition, the energy-saving features included were a critical component of receiving LEED Platinum Certification. The building is 57% more efficient than ASHRAE standards and saved 75% of the anticipated water usage. The lighting system has a power density of 0.66 w/sf (half of code), and a wide variety of luminaries including fluorescent and LED sources. LEED Platinum is a significant accomplishment for our multi-story research building, particularly given that it is such an energy-intensive facility combined with our challenging climate here in Western NY. We are especially proud that our building dedicated to sustainability has earned such a rare accomplishment, which required tremendous teamwork. I salute our building partners.